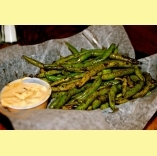 Cook green beans in oil in a large skillet on medium to medium heat until soft but not mushy. While green beans are cooking, toast pine nuts in a separate skillet over a medium flame until just a little brown. About a minute or so before green beans are done add a splash to taste of balsamic vinegar. Turn off heat and toss in pine nuts. 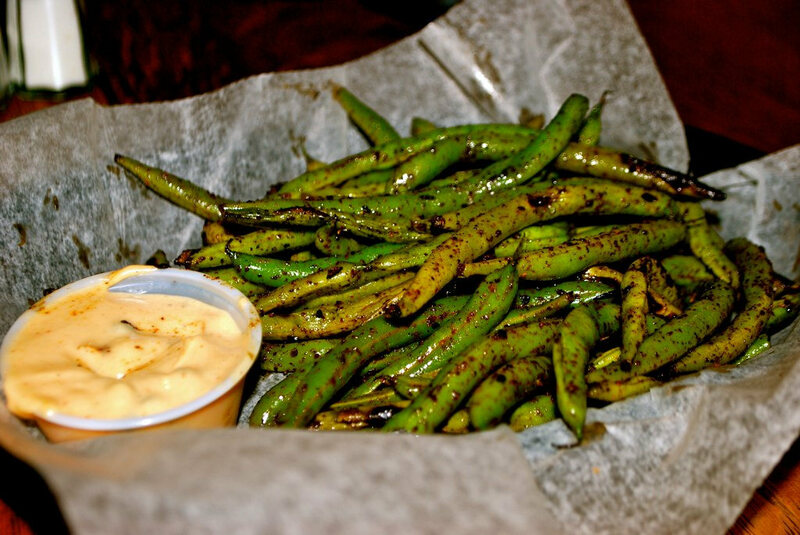 This recipe is also great with fresh green beans. Marinate steak tips in the first 8 ingredients for about 6 hours (You can marinate overnight too). Cut vegetables in large pieces and add to marinade mixture 1 hour before grilling. Grill steak and vegetables together in a grill pan.